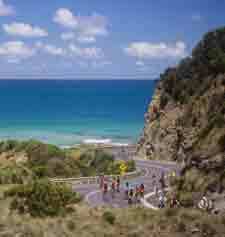 Discover the world's top bicycle tours for an out of the ordinary vacation. An ideal vacation for the traveler looking to explore the lightly traveled back roads for fantastic scenery, camaraderie, and some fun oriented exercise with the convenience and expertise of a guide.. 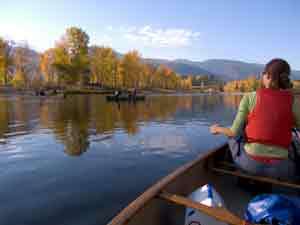 The bike tours are all guided tours and chosen for adult travelers of all ages who who want set their own pace, yet want the expertise and convenience of a guided tour. The Bike tour operators will set the pace to the groups or to the individual cyclists ability who want to take it slower or add on more strenuous side routes. The guide leads small groups of 12- 18 cyclists in a support van to assist and guide the group. The tour operator provides the bikes, overnight accommodations, luggage transfers, and other amenities. 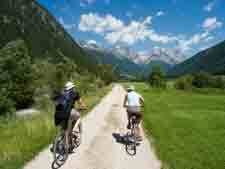 Discover Europe's top bike tours. Bike touring in Europe takes you to medieval hill towns and along scenic lightly trafficked routes where you will stop along the way at bistros, wine cellars, or occasionally relaxing at a cafe with a coffee. 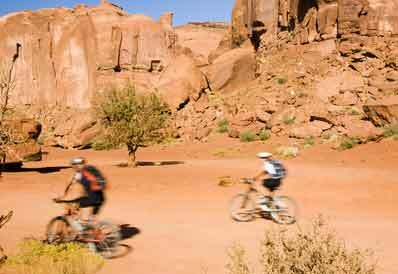 Discover the top USA bike tours. Bike touring in the USA takes you along scenic lightly trafficked routes with many attractions that can include wineries, charming towns, coastal routes, forests, and other points of interests.